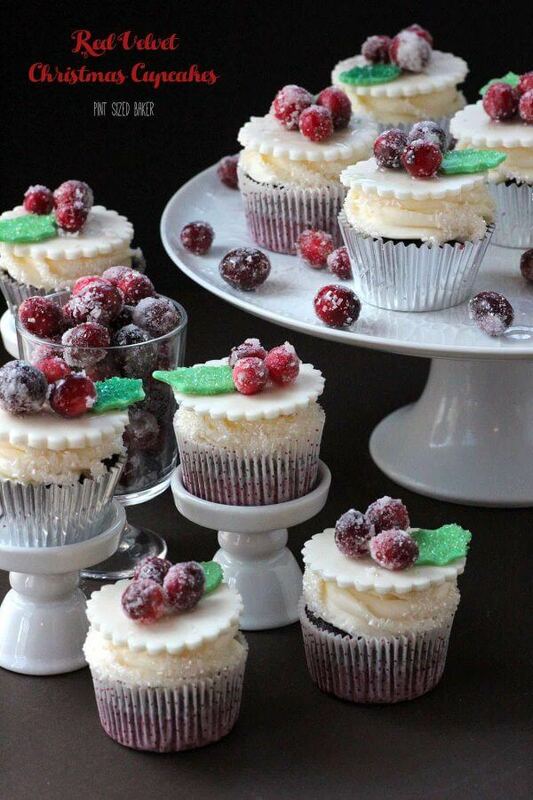 Red Velvet Christmas Cupcakes topped with delicious marshmallow fondant and sugared cranberries. 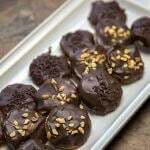 They are perfect for your holiday desserts. Oh! I loved these Red Velvet Christmas cupcakes! Aren’t they just so elegant?? 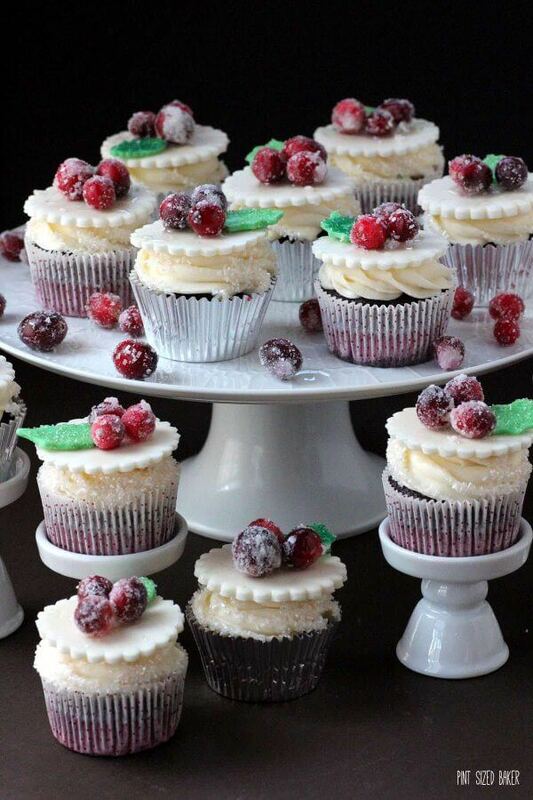 These Red Velvet Cupcakes with Cream Cheese Frosting topped with Marshmallow Fondant and Sugared Cranberries were great for my Thanksgiving dinner guests! That’s right! I made cupcakes for Thanksgiving dessert. No pie. I just could not bring myself to make a dessert that I couldn’t photograph. The final dress up and photo shoot was done at noon on Thanksgiving when I really should have been cleaning… oh well! It all got taken cake of. Do you feel totally rushed during the Christmas season? I know the feeling well. Between baking and creating recipes for the blog, taking care of the house, getting my kiddo to all her actives and Christmas shopping – not to mention present wrapping, moving the Elf every night, and taking care of all the animals – it’s a crazy time. I try my best to take a night off and relax each week and decompress. No responsibilities or requirements to take care of. Ahhh! Do you take a night off of adulting? You should! 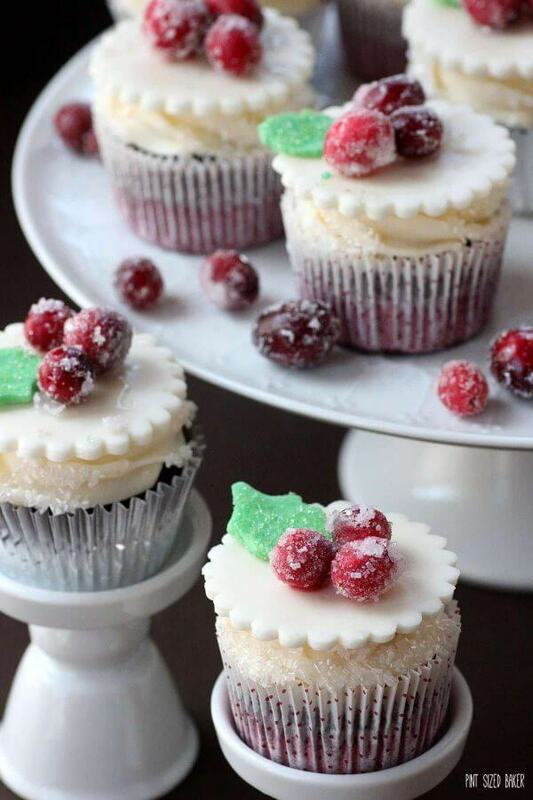 These Red Velvet Christmas Cupcakes would be a perfect treat for a night off! Or take them to the office party or a holiday gathering. They are absolutely stunning to serve and everyone will be blown away with the beautiful details! You can’t get cupcakes this tasty and this lovely at the bakery without costing an arm and a leg! Beautiful Red Velvet Cupcakes will be the hit of the dinner party! Begin by preheating the oven to 350. Place liners into the cupcake pan. Beat eggs with whisk attachment for 5 minutes. Slowly add oil and sugar, beating well then add buttermilk, vinegar, vanilla, and red food coloring. Switch to the paddle attachment and add dry ingredients, beating until combined. Using an ice cream scoop, measure the batter into the cupcake liners. Combine all ingredients until desired consistency is reached. Put in a pipping bag fitted with a Wilton 1M tip. Frost the cupcakes and decorate with some white sugar sprinkles. Set aside. Take your 2" fondant circle and add a touch of corn syrup. Attach 3 sugared cranberries and a leaf. Place the fondant circle on top of frosting. This recipe is part three of a thee part series including White Chocolate Marshmallow Fondant and the Sugared Cranberries. I will make chocolate coffee ice cream cupcakes with my supplies! Thanks. I’d use the mixer to make chocolate cupcakes!! I would make the Red Velvet Cupcakes, yummo! I would make endless sugar cookies. Baking is my passion!! I would make a chocolate cheesecake cupcake, I love those! Yum. Thanks for the cool giveaway! I would make chocolate cupcakes! This mixer can handle it no problem! Probably these Red Velvet ones! They are gorgeous! Just so many new and exciting recipes to experiment with…. they are found in the dictionary under “heavenly gorgeous cupcakes”!!! Actually – I can’t wait to try this recipe! So I will definitely make the red velvet ones first! 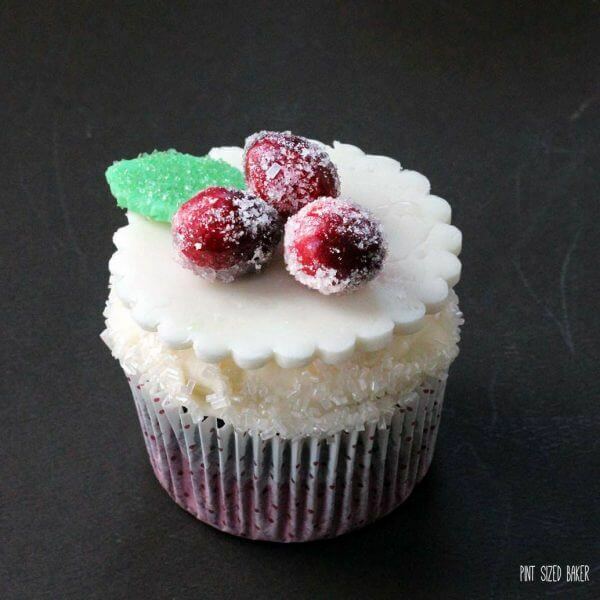 Such a cute idea to put the sugared cranberries on top!! Love it! Your recipe for Red Velvet! Holy canola those cupcakes look good!! I’m going to make my sweet potato cupcakes with coconut pecan frosting! I would try these wonderful looking red velvet cupcakes if I won the cupcake supplies pack. Then I would try some caramel ones. Thanks for these great giveaways. Good luck everyone. If I won the mixer I would make cupcakes first. Then I would make cookies,brownies, and other goodies. I don’t have instagram. I noticed all of these recipes are influencing what I am craving or drooling for at the time. Thanks for the wonderful giveaway. Good luck everyone. I’ll be making dark chocolate with mint frosting. I’d make chocolate cupcakes because that is my hubby’s favorite. These Christmas cupcakes of yours are beautiful! Thanks for offering the chance to win. I’d love to make those cupcakes, Karen. Those sugared cranberries look SO good! I’ve never made red velvet cupcakes, so why not take advantage of your awesome recipe plus the new supplies and give it a try!!! 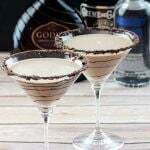 I have been wanting to try a Salted Caramel recipe I found! 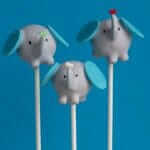 you make the best desserts, would love to have one of these mixers, thanks for the chance! I’d make egg nog cupcakes for Christmas! Your cupcakes are so beautiful! I would try these wonderful looking red velvet cupcakes if I won the cupcake supplies pack. Then I would try some lemon curd ones. Thanks for these great giveaways. Good luck everyone. Need to find the time to learn how to make MMF. You guys giving away a xtra time in a day by any chance? LOL… thanks! What beautiful cupcakes you’ve made! I love sugared fruit. I’d make Vanilla Chai cupcakes with a spice cream cheese icing. 🙂 Thanks for the awesome giveaway! Lemon with cream cheese frosting and blueberries. Something with chocolate for sure would be first on my list, since that is the only kind of cupcake my husband likes (strange, I know)! I would make red velvet with cream cheese frosting. Thanks for the wonderful giveaway! I’ll be saving this recipe to try! Some kind of chocolate cupcake, but I’m sure they won’t be as gorgeous as yours. Those are amazing Karyn!! Lemon cupcakes are my favorite! I’m a chocolate kind of girl… so I would make chocolate cupcakes with chocolate frosting, maybe some chocolate fudge filling… oh and a few chocolate sprinkles on top !! This looooookkkkkksssss Amazing!! gotta try it… Thanks Living Locurto for hooking me up with dieters downfall!!!! Can’t wait to try it out!! I would make these yummy red velvet cupcakes. They look delicious! The first thing I would make would definitely be brownies. I like yellow cupcake with chocolate frosting. Thank you so much for linking up to The Weekend re-Treat Link Party this week on The Best Blog Recipes! 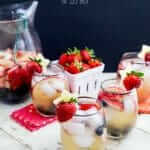 Wanted to stop by and “Pin” your post to our Link Party Boards (Recipes or Crafts) while I was here ! AND… I am on my way to enter to win right now! I would love a mixer since I don’t have one and I would probably go crazy baking, lol! Your red velvet ones look wonderful so I think I will make them. Making Holiday cookies with that mixer would be such a breeze compared to the 1950′s era hand mixer I use now. Gracious! Those cupcakes look amazing!!! Thanks for the opportunity to win a new mixer but honestly, reading your blog is a great prize I get every day! I’d make carrot cake cupcakes! Merry Christmas! I will make chocolate cupcakes with chocolate frosting. Happy Holidays! I will be making Chocolate Peanut Butter cupcakes. They are my son’s favorite. Thanks for the giveaway. I love (and wrote about) Ina Garten’s Pumpkin Cupcakes with Maple Cream Cheese Frosting and I cannot get over how wonderful the cupcakes are! 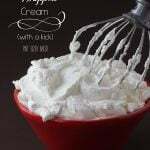 They are always a must around the holidays, so I plan on making those next. I can’t wait! Snicker doodle cupcakes are delicious and perfect this time of year. All of the supplies will make beautiful cupcakes for the holidays. I’d make a German Chocolate cake. I would make rainbow cupcakes that are vanilla flavored. I’ll make chocolate chip cookies with the mixer. We will make christmas goodies as a family! I think I would try German Chocolate cupcakes!! I’m going to try the Red Velvet you posted…looks too good NOT to try! Chocolate cupcakes. Always. I would love to do the beautiful topping you did here, though. Just love it! So sweet & elegant! I will certainly be making red velvet cupcakes.. my son’s birthday is this month and red velvet is his favorite! Wow, those are awesome looking. Truly beautiful! I think I’ll make chocolate cupcakes with mocha frosting. I will definitely be making your red velvet cupcake recipe if I win! I would start with something basic, like chocolate. cherry chip with cherry icing my favorite! What flavor of Cupcakes will I make with your supplies Carrot! 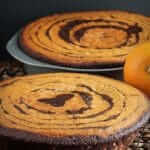 If I wont the mixer I would love to make Paula Deens triple layer banana pecan cake! chocolate Guiness Stout with Baily’s Irish Cream frosting topped with your holly berry idea sooo yummy! Mmm that’s a hard question, because there’s so many recipes I’ve been dying to try, but if I had to choose my first would be a Caramel cupcake with butter rum frosting. I would make bread! And cookies. I would make vanilla cupcakes; my favorite. Decorating is always the best part. I will try your red velvet! I will make tiramisu cupcakes! Yum! I would make carrot cake cupcakes with cream cheese frosting! I love to make gingerbread cupcakes with cream cheese frosting. I’d make spiced apple cider cupcakes! I would make vanilla malt cupcakes. I’d make Vanilla with peppermint frosting, to start. I’m a huge fan of vanilla cupcakes, so if I win, that’s what I’ll make. I make chocolate on chocolate. I hope to be able to make bread in this new mixer! 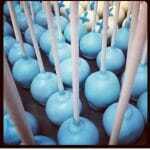 I would make something chocolate and caramel with a cream cheese frosting. I will make chocolate cupcakes with salted caramel buttercream frosting. I will attempt to make bread for the first time with the Pro KitchenAid. I would make confetti cupcakes. Nothing beats a Kitchen Aid mixer. Would love to win this one so I can try all the cool recipes on your site that would be so much easier with a Kitchen Aid! I would make my favorite red velvet. Red velvet cupcakes would have to be my favorite flavor to make. I am such a cupcake diva…I love your stuff! Thanks for the chance to win such an awesome giveaway and I LOVE your blog! Chocolate! Then some red velvet! I would make s’mores cupcakes! Your Red velvet! They are my favorite! I would make my favorite devil’s chocolate cupcakes. 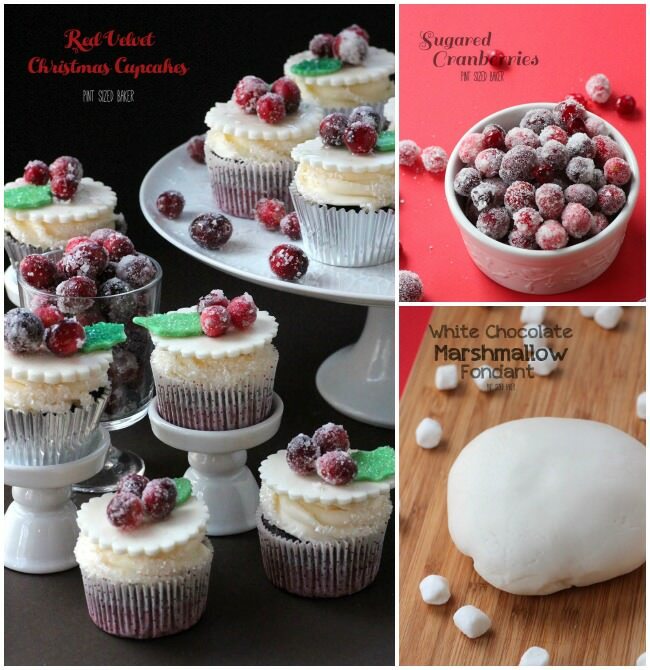 I am going to try this recipe for the cupcakes with sugared cranberries .. they look fantastic!! Can’t miss with a chocolate cupcake. I would make carrot cake! Yum. This time of year I would be making some cookies with the KitchenAid professional mixer if I was to win! Red Velvet! These are amazing! Sharing on my Facebook page! I’ll probably do some kind of chocolate cupcake. 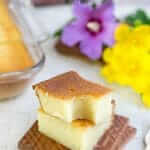 I’ve heard great things about Duff’s fondant, but haven’t bought any yet, as I don’t use fondant often. Would be fun to try. I would make Espresso Mocha Cupcake. I,m not here for the giveaway, just to tell you that these cupcakes look amazingly beautiful! Just wanted to say that I love your photos on this post! Gorgeous! In the process of baking a few of these! Will let you know how they come out! Cupcakes! Probably red velvet, my husband and son’s favorite! I think I would make Reeses cupcakes. Or rhubarb. Or…lemon. German Chocolate, which I’m now craving!!!! I would make red velvet! I would make cookies or cupcakes. I’m loving Eggnog cupcakes this season. Red Velvet Cupcakes are my favorite!